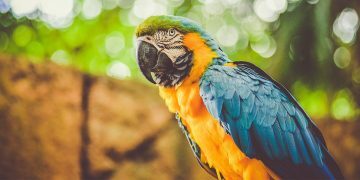 What Birds Do People Like to Keep as Pets? Pet birds are becoming a common house pet, and for obvious reasons: birds are fun pets! Intelligent and loving, some people are beginning to enjoy having pet birds before dogs and cats. Pet birds can be quite easy to handle and take care of compared to other household animals. As long as these pets have a birdcage to house themselves in (that’s always clean and nice), consistent food and water to keep healthy, and toys to play with and destroy, birds will be happy. 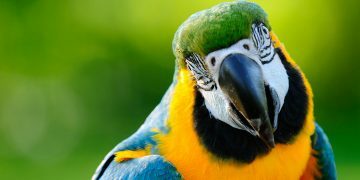 Of course, proper time and affection are needed to keep birds as happy as can be, as most pet birds long for socialization with their owner. In fact, don’t be surprised if a pet bird forms a deep bond with their owner, because it happens all the time! But what are the most popular birds to have as pets? While their size, feathers, and personality vary from breed to breed, all of the birds listed here make great additions to any household or family. 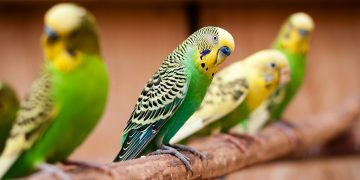 This list includes information on some of the most popular pet bird breeds. Lovebirds are a smaller versions of the parrot species, and they’re absolutely adorable. Native to the continent of Africa, these birds are becoming quite the popular pet worldwide. Lovebirds need social interaction in their life (like most birds and pets) and love to chat with their owners and strangers alike. Lovebirds are actually known to develop a deep bond with other Lovebirds, so owning a pair may be in one’s best interest. However, it should be noted that Lovebirds may ignore human interaction at times when they’re together, as they focus deeply on other Lovebirds and their own relationships! This specific breed of bird is also quite restless; they always need something to do, whether that’s playing with toys or having something safe to chew up for fun. Quite curious little things, these birds are incredibly inquisitive and bold.